More than 25 years in the making, this magisterial volume uncovers the riches of one of the greatest periods of mystical wisdom in Christian history: the vernacular spirituality of the late medieval period in Europe. 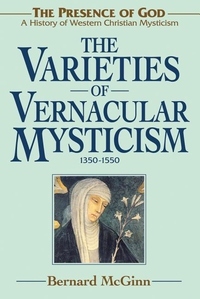 The compilation incorporates more than a century of new research from around the globe, demonstrating how this period gave rise to many mystical writers who remain influential even today, including Julian of Norwich, Eckhart s follower Jan van Ruusbroec, and the inspirational doctor of the church and visionary, Catherine of Siena. With unmatched knowledge of the primary works and scholarship around the globe, this study illustrates the unique genius of each mystical teacher as well as how they build on one another s insights to pursue a life in God s presence. Specific types of mysticism covered include Trinitarian, late medieval Italian, renaissance, and the golden age of English mysticism."